CBRE released its annual Global Prime Office Occupancy Costs survey. The cost reflects rent, plus local taxes and service charges for the highest-quality prime office properties. 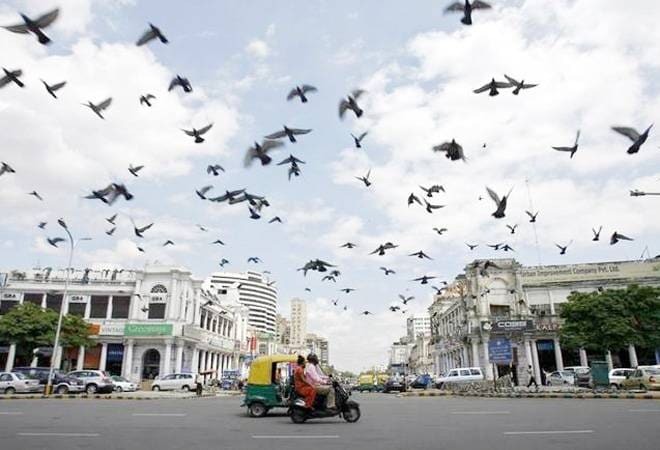 New Delhi's Connaught Place has moved one position higher to become ninth most expensive office location in the world with an annual rent of USD 153 per sq ft, according to property consultant CBRE. Mumbai's Bandra Kurla Complex (BKC) slipped to 26th position with an annual prime rent of USD 96.51 per sq ft from 16th rank. The central business district (CBD) of Nariman Point also moved down to 37th position commanding an annual prime rent of USD 72.80 per sq ft from 30th rank last year. BKC and Nariman Point were at 16th and 30th positions, respectively, last year. "Delhi's Connaught Place moved one notch up to be the ninth most expensive office location with an annual prime rent of USD 153.26 per sq ft from last year's 10th most expensive office location," CBRE said. The real-estate service released its annual Global Prime Office Occupancy Costs survey. The cost reflects rent, plus local taxes and service charges for the highest-quality prime office properties. CBRE's Chairman - India & South-East Asia - Anshuman Magazine said, "Delhi, being a prime market, continues to witness significant activity and has moved one step ahead to the 9th position owing to stable vacancy, rents and absorption." He expressed optimism about the Mumbai market and expected an upswing in the coming months. According to the report, Hong Kong (Central) is at the first position with an annual rent of USD 306.57 per sq ft, followed by London (West End), Beijing (Finance Street) in China, Hong Kong (Kowloon) and Beijing (CBD) in China. New York (Midtown- Manhattan) ranked sixth with an annual rent of USD 183.78 per sq ft, while New York (Midtown-South Manhattan) is at 7th position commanding rent of USD 171.56 per sq ft. In the top 10 list, Tokyo (Marunouchi/Otemachi), Japan is at the eighth position and London (City), UK, is at the 10th rank. Global prime office occupancy costs rose 2.4% year-over-year. The cost in America was up 3.2%, Europe, the Middle East and Africa (EMEA) 2% and Asia Pacific 1.7%. The survey highlighted that prime office occupancy cost growth was consistent across all regions in the past 12 months. On the Indian commercial real estate market, Magazine said, "Strong demand from finance, technology and the e-commerce sectors has fuelled the growth momentum in prime occupancy costs from last year and commercial office market remains a strong growth propeller for the real estate sector."